Taking skills and oral language development have a strong impact on reading success. And, we want strong readers, right? Human beings have a unique ability to learn the rules of language used in their environment. We are born to speak. If you have ever been in a car with a jabbering toddler or preschooler, you can confirm that young children are born to talk…and talk…and talk. Almost all children learn to speak through practice and use over time, with little or no formal instruction, and the environments where children learn their language can have a direct impact of their success in literacy. This is because children learn language by following the models of significant caretakers around them. As with learning any other skill, learning to talk requires time and everyday practice and children mimic not only the actual words adults around them use, but also the way in which they are used. This means that when significant adults in a child’s life pronounces words incorrectly, or uses improper grammar, this is the kind of language the child will also use. 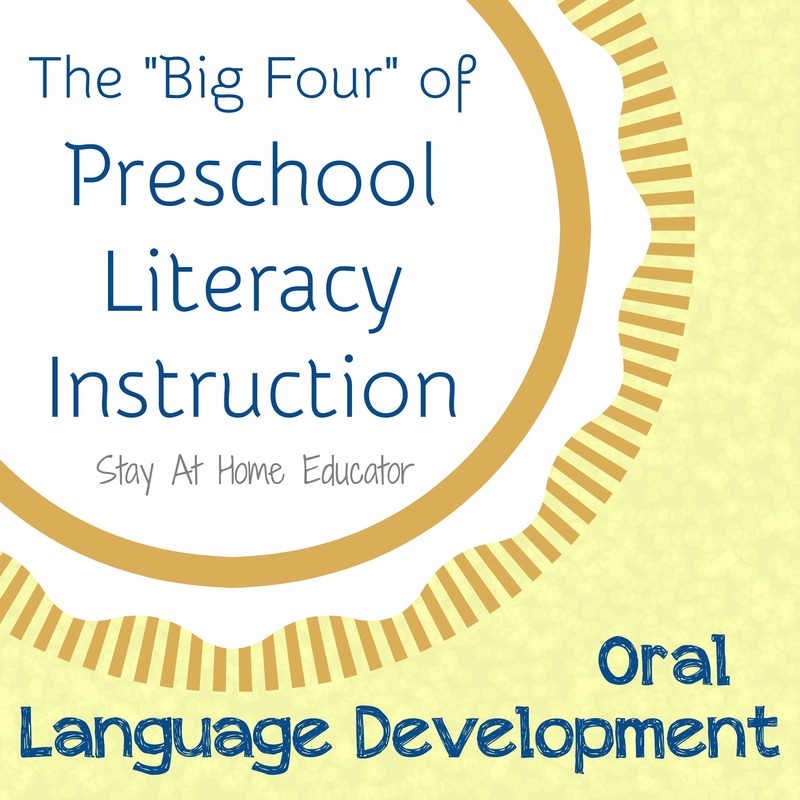 There are four main ways oral language development can prepare children for reading and writing. Oral language develops vocabulary concepts. Children gain information about word meanings and pronunciation and these concepts are first introduced in speaking and understanding others’ speech. Children learn through oral language the structure of language and that it communicates meaning. Children who can articulate their words and thoughts clearly have an advantage in learning to read over those children who have poor oral language skills. Oral language teaches children cultural nuances, giving them specific background knowledge that aides in reading comprehension. Oral language acquisition builds a desire to use language for a variety of purposes, such as reading, wiring and listening. 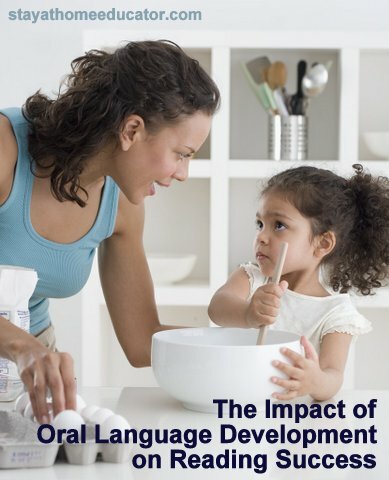 Parents and caregivers play an important role in a child’s oral language development. They can impact how quickly and how well oral language can develop. Following are some ways in which parents and caregivers can nurture language development. Treat children as though they are conversationalists. Listen carefully to what your child is saying and respond with appropriate and sincere thoughts that encourage more dialogue. Encourage your child to interact with other children. Peer learning, especially in mixed aged play groups, can be a valuable experience for young children still gaining language skills. Remember that as a parent or caregiver you can reinforce good habits of speech, so model for your child appropriate language, including expression, grammar, and vocabulary. Read to your child, at length and at frequent intervals. Help your child recognize the relationship between speech and writing by encouraging storytelling, both orally and in written form. Oral, or spoken language, is only one of the four domains of language. (The other three domains are listening, reading, and writing). All four domains of language correlate and effect one another in their development. Research indicates that children who enter school with strong oral language skills learn to read and write with greater ease and tend to excel more in school that their peers with less knowledge of vocabulary and language structure. So those moments in the car, or at the dinner table, or while getting dressed when your little one jabbers on and on can be a valuable opportunity to encourage and increase their oral language skills and later success in school. Literacy and Children With Apraxia of Speech by Sharon Gretz, M. Ed.